If my life would be an example, what message would I like to convey? 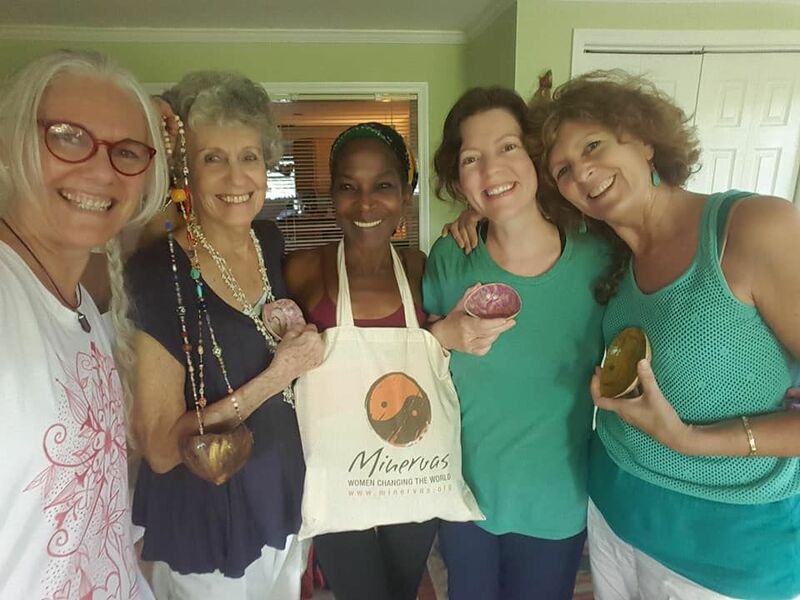 What a wonderful afternoon I had with MINERVAS! Sandra led us in a moving quiet meditation focusing on the breath. After all, it is the first thing we do is inhale as we enter into the world and the last thing we do is exhale as we transition. Isabel led us by expounding on beauty and that set the scene. I was expecting to hear how we were feeling and learned that there are other ways of expressing feelings. 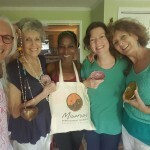 Tali talked about loving coming to the Minervas as it has helped to feed her soul. Mariam spoke about being quiet and not having much to say just then. I expressed my pragmatic side of being instead of feeling. Next we got up and danced to loosen up physically and to mentally quiet our minds. I passed around some subjects to stimulate us on the theme of inspiring questions. We separated to find a quiet spot for a half hour of focusing on one or more of the suggestions. I sat by the water and chose to comment on 5 different statements. Which then inspired me to write about being Jewish and saying kadish, a prayer for the living, to help us remember our loved ones and about giving sedaka, helping people and organizations who are less fortunate than we. When we got back together, each of us who wanted, shared what we had chosen. The most moving part of the closing, for me, was how we all joined hands and felt the heart beats of the ones on our right and left. 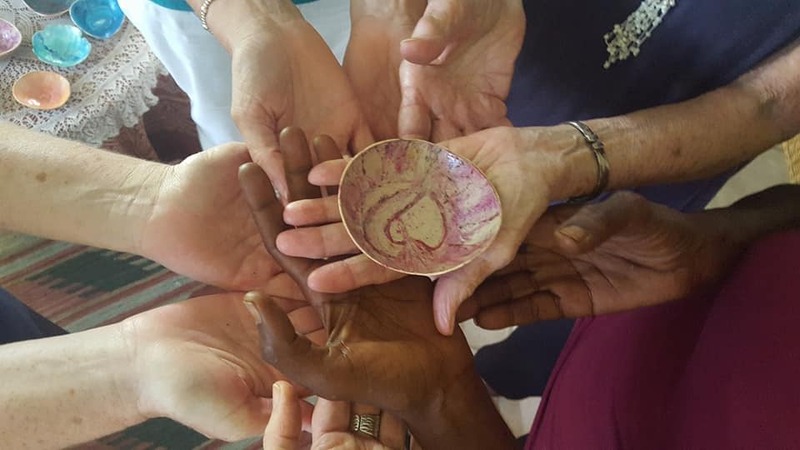 And then, Sandra gave us all a beautiful cup to hold our troubles and transform them into love. 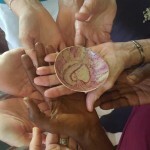 Then we formed a mandala of our hands holding the cup I was given. So here I am sitting at my computer and writing. Thank you, Minervas, for being.